One of the best things I ever got was a ton of diapers in various sizes at my baby shower. Newborns go through diapers fast, and my newborn was so large, she didn’t ever wear the newborn size. Multiple sizes meant I could stash the larger stuff until later (for new parents, don’t open them until it’s time to use them or they lose their absorbency). I even went as far as to request diapers on my birthday and other gift-giving holidays. As a result, whenever I hear someone is having a baby, I start shopping diaper sales so that I can give them a good-sized haul at the shower. Always check with your OBGYN, pediatrician, and hospital at any time. 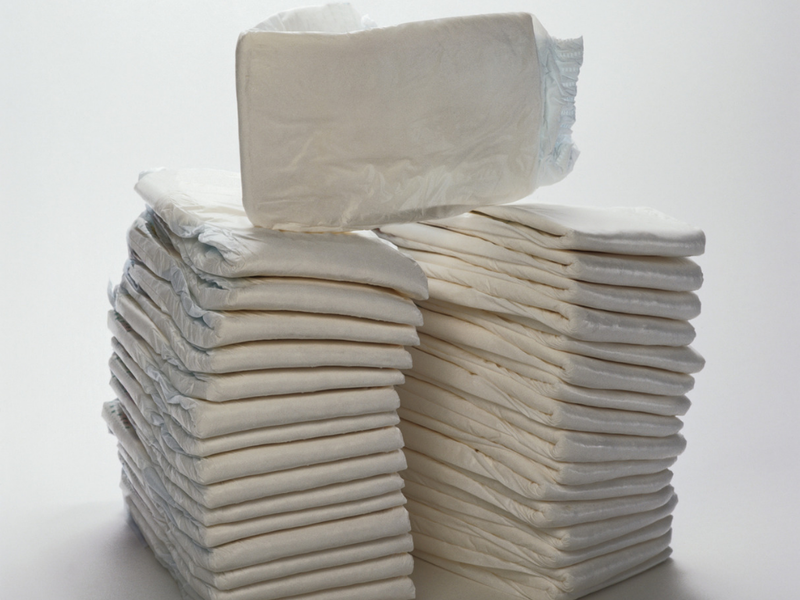 Your OB and hospital often have free samples of diapers that they can give you. When I had my babies, I would stash diapers away every day into my bag, and the nurses were very aware. They kept me fully stocked, and I was able to take quite a bit. The pediatrician can also lead you to local nonprofits that help families provide for their babies. Diaper swaps are great opportunities for free diapers for low-income families. Essentially, you all meet up once a month or so and trade those unused diapers in smaller sizes with others who have diaper sizes you need. It’s not talked about much, but most families can’t finish a pack of diapers because of growth spurts and potty-training. This is also another way to meet other families for playdates and afternoon coffee. Parents need other parents! Another way to score freebies is to sign up with various diaper companies; they often send out samples of a diaper they are trying to sell more of or brand-new types they need feedback for. I once wrote to a diaper company and told them about my experience with their diapers and they sent me coupons for free packs of diapers. It never hurts to try. The National Diaper Bank Network is a very valuable tool for low-income families. You can locate a bank closest to you and get the diapers you need. You can also donate your unused diapers that you aren’t going to need. I am making a point to donate a pack of diapers every month to help others now that my children are all grown up. It can be scary not knowing how to get that next pack of diapers. You can supplement with cloth and use any of the above suggestions to get you by!